PotPourri Markets: Christmas... yaaaay : where is our gifts??? Christmas... yaaaay : where is our gifts??? We have a nice full sim. And we offer you it as a sandbox. You can also use it as a space for eventual artistic, cultural or charity events. And this for free. Just contact Chloe Seljan or Taylor Flanagan. But it is soon Christmas. 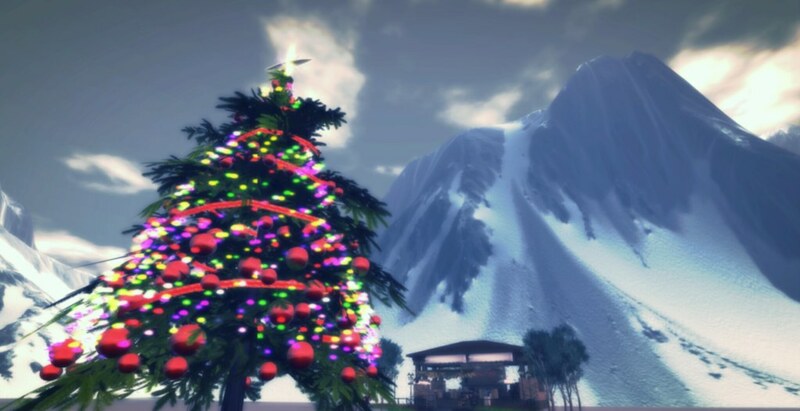 We changed the texture of the ground (snow of course) and set a mountain scenery. And ... a Christmas tree. What would be really nice is that our creative friends come to put a little gift under the tree. In exchange, we'll talk about you on our blog, on our FB page and in our SL group (PotPourri Markets). Gifts will be returned the week after December 31st. It goes without saying that we only accept original creations. No freebies purchased in full perm for example.